_The school SDN Gorontalo is located 6 miles east of West Manggarai Regency. Near Labuan Bajo. 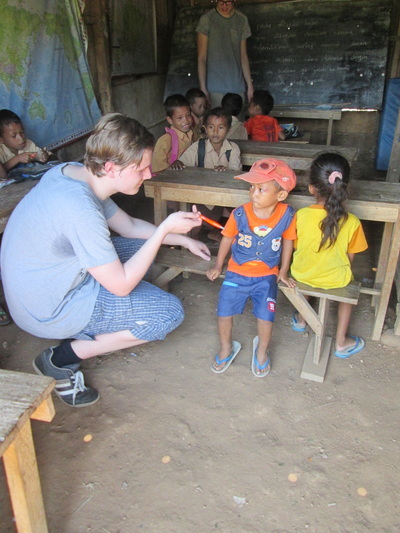 The children have to walk up to 2 km from home to school. The children walk to school, some on shoes or sandals, some barefoot. They wear a school uniform that their parents had to buy. The primary school is free, but there are additional costs that parents can not pay for. Because there is no well at the school, some children bring a jerrycan with water to the current, old toilet, to flush. Children play on the site in front of the school, which consists mainly of sand. 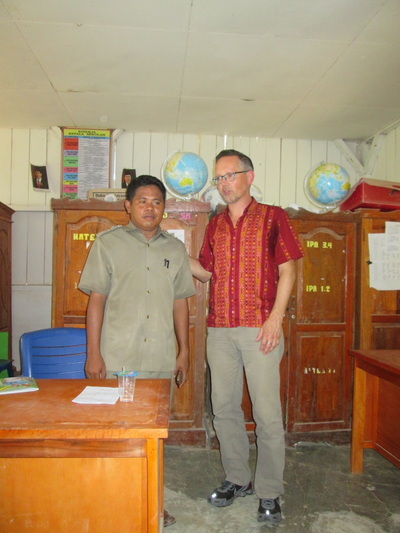 In Gorontalo there are seven classrooms: one office and six schoolclasses. 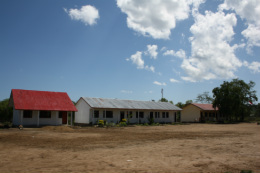 The school is built of stone with a tin roof and a cement floor. The children are sitting two by two at their tables and chairs. In each class is blackboard. There is one globe for the whole school. Maintenance of the materials and additions is part of the program for each working visit. 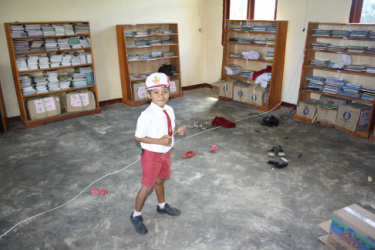 The classrooms,unfortunately, still are not in optimal condition. There are few pictures/decorations on the wall which would provide a pleasant environment for children. 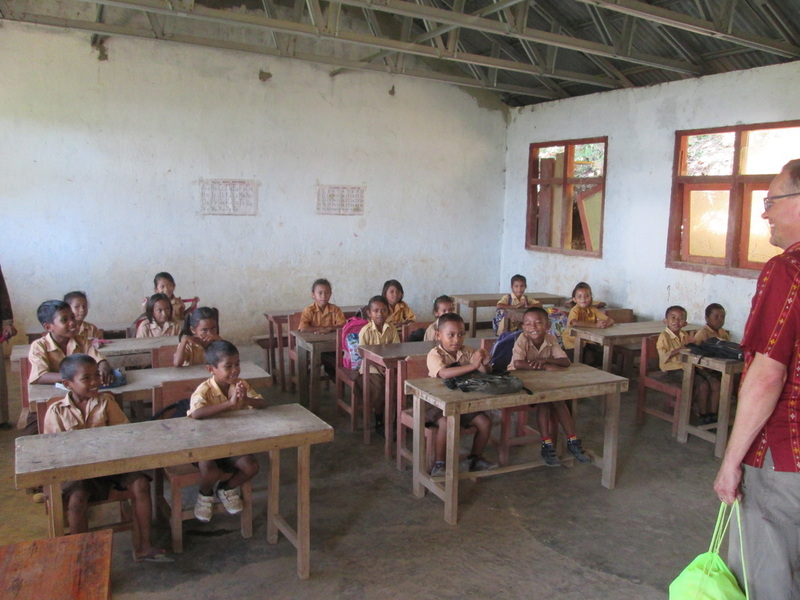 However, we note that the situation for the children at school has improved. 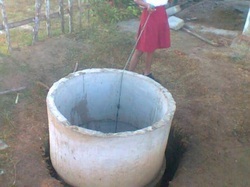 In May 2013, agreements have been made ​​for the construction of a well at the school. We are pleased that we can tell you that this project has been completed. Updates on the improvements to be made in Nanga Nae will follow shortly.